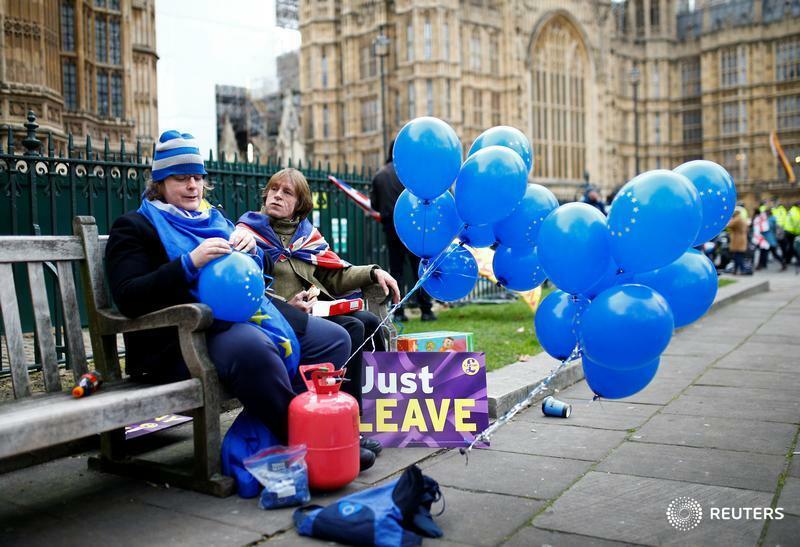 LONDON (Reuters) — Britain's economy risks stalling or contracting as Brexit nears and the global economy slows, with firms in the dominant services sector reporting job cuts for the first time in six years and falling orders, a survey showed on Tuesday. A closely watched gauge of the world's fifth-biggest economy, the IHS Markit/CIPS UK Services Purchasing Managers' Index, fell to 50.1 in January from 51.2 in December -- its lowest level since July 2016 and barely above the 50 mark that separates growth from contraction. Overall, the survey suggested Britain's economy is flatlining after losing momentum late last year. "The latest PMI survey results indicate that the U.K. economy is at risk of stalling or worse as escalating Brexit uncertainty coincides with a wider slowdown in the global economy," said Chris Williamson, chief business economist at survey compiler IHS Markit. The report adds to other signs that Brexit, scheduled in less than two months' time, is taking its toll on businesses and consumers. The composite PMI for December, combining the manufacturing, construction and service sectors, fell to 50.3 from 51.5 in November, the lowest level since July 2016.